Wishing you a wonderful day... I hope you will head over to the AJVD blog for a look and to let me know what you think. Hello!! 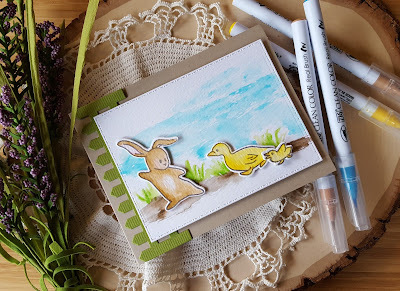 Have a card to share and it doesn't have a bunny on it, lol!! This time it has balloons on it! I'm playing along with the current Essentials by Ellen Pin-Sights challenge and the current CAS(E) this Sketch. 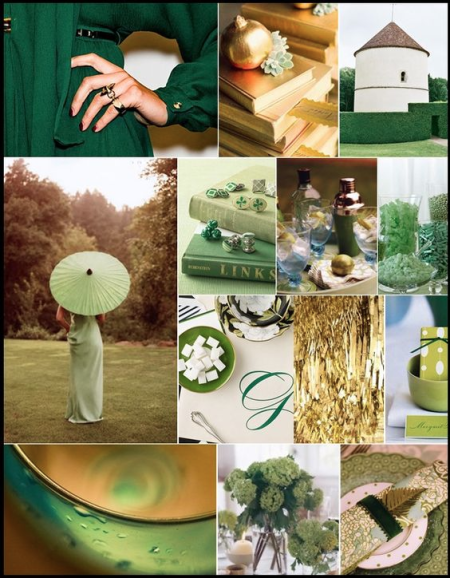 The pin-sights mood board is full of lovely images done in shades of green with touches of gold. Initially I was going to use my EE Mondo Hydrangea, but decided to switch to the super fun EE set Up the Happy. I stamped the balloon three times as you see and then created a mask of the balloon so I could stamp the clouds and the balloon strings. I ended up needing a mask for the small cloud, as well, so I wouldn't have a balloon string running through it! I then colored the balloons in three shades of green ZIGs per the mood board. Once the balloons were dry I added a little wash of gold to each one using the brush gold paint from the Gansai Tambi watercolor set. You can see just a bit of it if you look hard or if you click on the photo to make it bigger. The clouds were given a light wash of gray and then I used the light blue from my Gansai Tambi set mixed with water to add a light wash of blue. 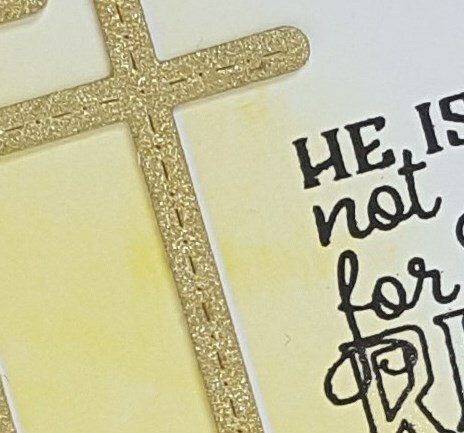 To bring in a bit more gold I stamped the sentiment on vellum with watermark ink and heat set with gold embossing powder. The sentiment was die cut with a MFT fishtail flag stax die. I used rolled up glue dot that I placed behind the words to attach the banner to the panel. I love the way using vellum allows you to still see what is behind the sentiment. Hello friends!! I have one more bunny card to share. This time my little bunny is hanging out with a squirrel friend and they are trying to decide if they each picked the right snack. I think this little gray bunny turned out the best of the two that I colored the other day as I think I was able to get the coloration right. I also really like how my little squirrel turned out. Along with the bunnies we have a lot of squirrels running around and I tried to capture the colors that I often see in their fur as they streak by! Kept this very simple and just added a little bit of a background to ground the bunny and the squirrel and then added the little sentiment. 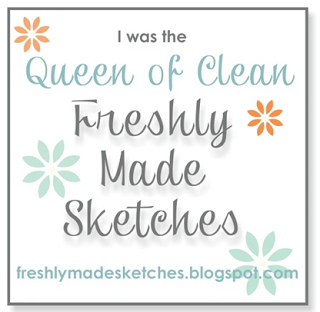 I will add this to the 30 day coloring challenge and to the Simon Says Stamp Wednesday challenge. 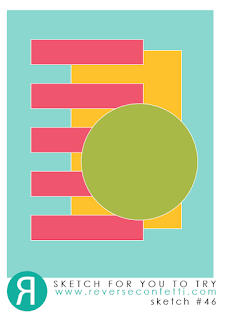 The layout is based on the current Freshly Made Sketches layout. Hello everyone!! 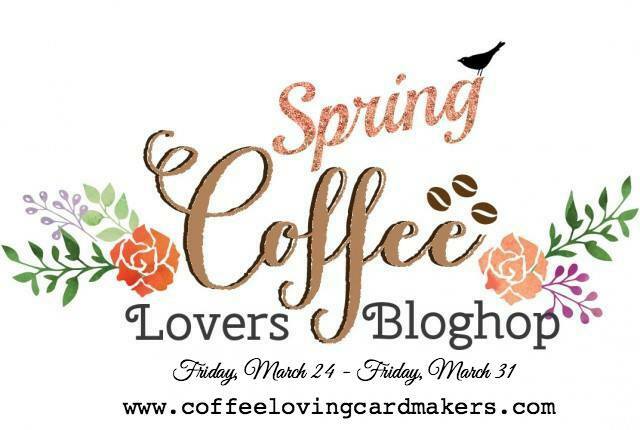 Stopping in with a card for the spring Coffee Lover's blog hop that starts today. I combined the Hero Arts Coffee Cup Tags set with the A Jillian Vance Design But First Coffee stamp set to create my card. I stamped the floral to go cup image in watermark ink on white cardstock, applied white embossing powder and then heat set. 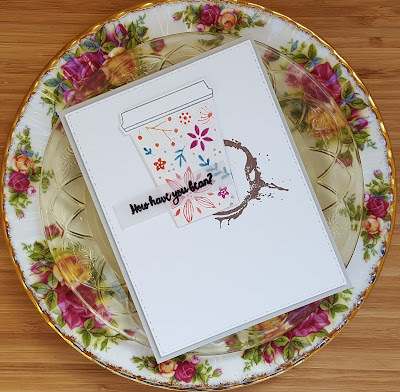 The Coffee Cup Tags set is actually a holiday one, but I thought the flowers could be made to look more spring like by using bright colors like orange and pink. I used distress ink markers to color the images and then wiped off the excess ink with a paper towel. Some ink did remain, but I don't think it takes away from the over all look. I die cut a piece of white cardstock with an AJVD Stitched Dot Rectangle die and then stamped the coffee ring image using Vintage Sepia ink. After stamping the lid in gray ink I die cut the cup and lid with the matching dies and adhered them to the panel. The sentiment was stamped in watermark ink and embossed with black embossing powder on a strip of vellum. Trimmed down the strip and adhered it to the cup. I will also add this to the current Simon Says Stamp Wednesday challenge to use more than one die or punch. Hello!! I have another bunny card!! This time I tried to color my bunny up like one of the little black bunnies that come into our yard. My bunny is more gray than black, but I think close enough. 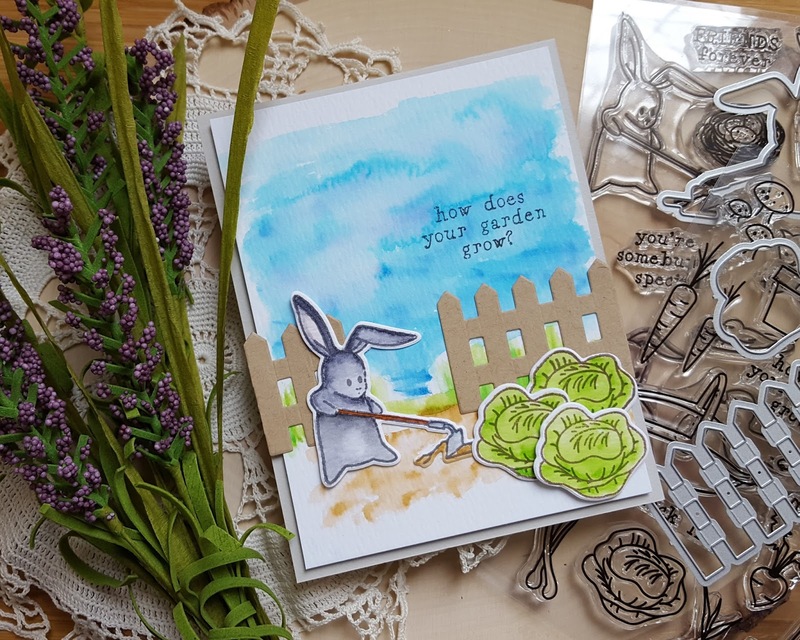 Since this little bunny has a hoe I have him/her tilling the soil around some nice big heads of lettuce growing in the garden. Everything was colored with my trusty ZIGs. I die cut the little fence from some kraft cardstock and then cut it in to two pieces so that I could create a little opening in the fence so that the bunny would have a way to get into the garden. I created the background by scribbling on a brown ZIG and then blending it out. A mid-green ZIG was flicked on and blended out to create the grass and then I added in the blue for the sky. Once the panel was dry I added the fence, bunny and the lettuce. 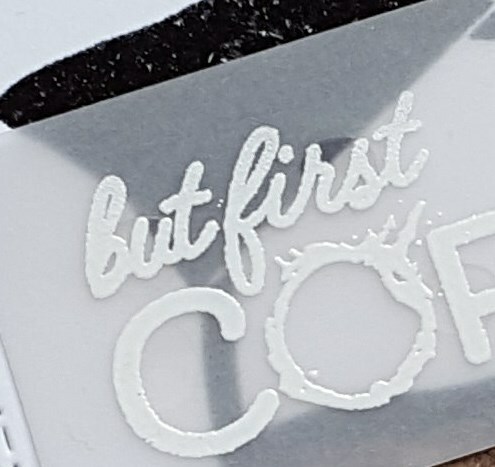 I almost didn't get a sentiment on this one, but caught myself in time to get it stamped!! I used more than one die on this card so I'm going to add this to the current Simon Says Stamp Wednesday challenge to use more than one die or punch. Since there is coloring I will add this to the 30 day color challenge as well. I haven't been coloring every day, but have managed to do more coloring this month than I did in the last three!! Wishing you a wonderful... hope you head over to the AJVD blog for a look and to let me know what you think! i'm a cover girl... again!!! Hello friends!! I just had to stop in with some news and I think you can figure it out from my blog post title, lo1!! A card I made is on the cover of the April/May/June Stamper's Sampler!! Now I had absolutely no idea my card would be on the cover until I opened the packaging that my complimentary copy of Stamper's Sampler came in today. 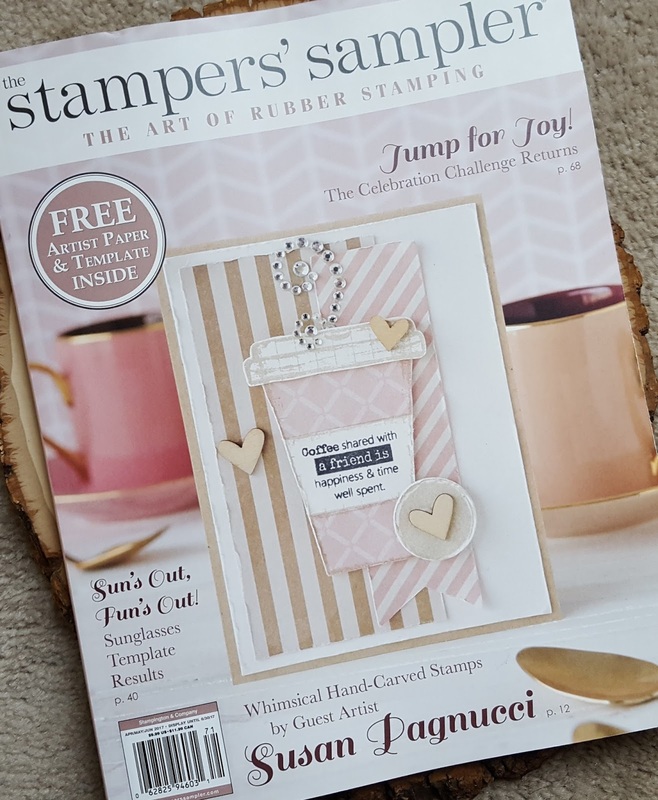 I knew my card would be in Stamper's Sampler because I saw it in an advertisement that appeared in the latest issue of Stamper's Sampler Take Ten, but I didn't think it would be on the cover! 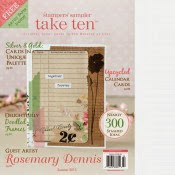 I have had two cards on the cover of Take Ten, but never on Stamper's Sampler. 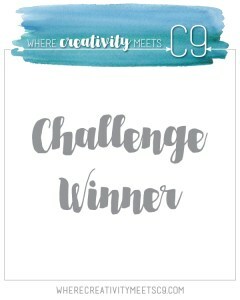 And to make things even better... they used the coffee cup (which is from the super cute Precious Remembrance Shop set Coffee Love) as the template for their new template challenge!!! How cool is that??? The card on the cover appears in the magazine along with two other cards that I made using the same stamp set from Precious Remembrance Shop and I could not be more pleased that Dyane's stamp set is being showcased so prominently in the magazine!! If you have never checked out Precious Remembrance Shop you really should! 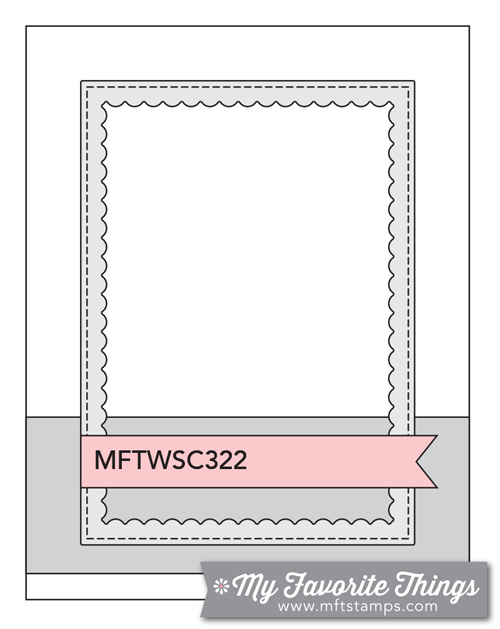 They have a fabulous design team (I used to be a member) and super cute stamps!! Thanks so much for indulging me today as I share this fun news.... wishing you a wonderful day!! Hello!! Stopping in on this windy, rainy weekend with another bunny card. 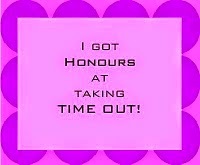 Just can't stop myself!! These bunnies are just too darn cute!!! Like the first one there is no sentiment on it. 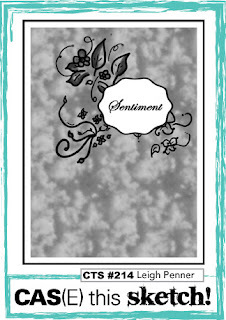 But that is because I got the card put together before I realized that I had not stamped a sentiment! The main panel was adhered with pop dots which makes it harder to set a good impression. I'm sure that hasn't happened to anyone else out there, right???!!! I created my background by scribbling some dark brown and blue ZIGs onto a panel of watercolor cardstock and then blended it out with a little water. I flicked on some green for the grass and then did a bit of blending. The side strip was die cut using the fence specialty die from the kit. 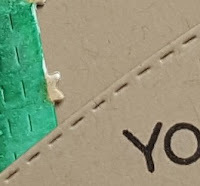 The green textured paper that I used can in the kit as well. 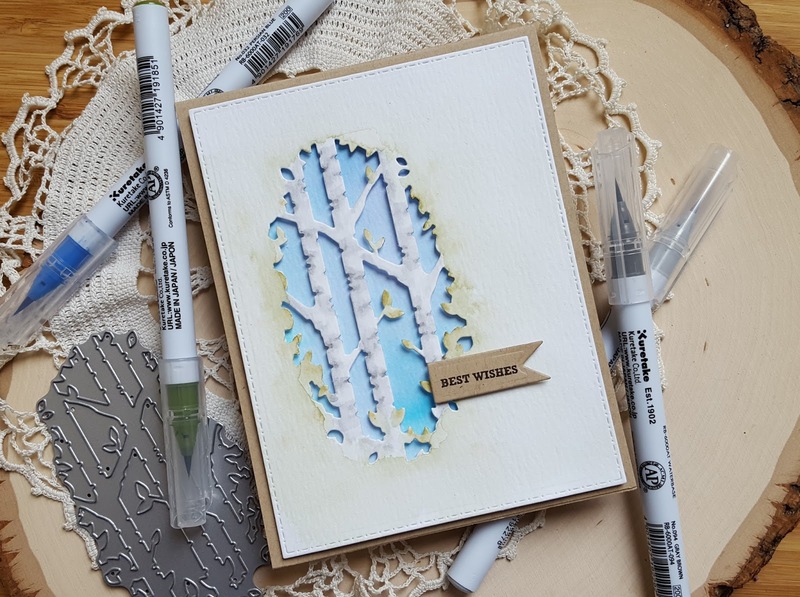 After looking at the finished card I realized that the background could either be the sky or a lake!! Either way I do love how it turned out. 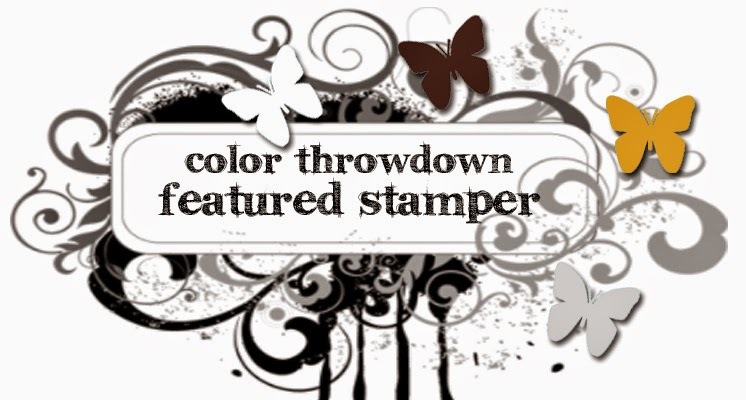 I think I will add this to the current Simon Says Stamp Wednesday challenge to use a bit of green and to the current 30 day coloring challenge. Wishing you a wonderful day and wishing that our rain would go away, lol!! Hello!! Stopping in on this very soggy day with a couple of cards I made recently. The first card uses items from the March My Monthly Hero kit. I could not resist this kit because... BUNNIES!!! I love bunnies... seriously!! We have a family of bunnies living in and around our yard and right now the babies have been scampering around. They are just too cute!! 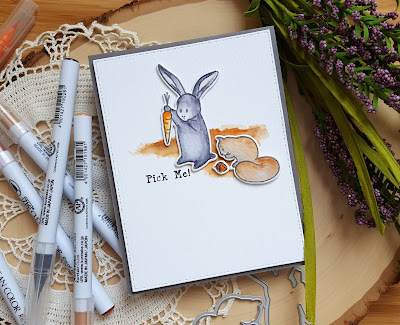 My kit arrived this past weekend and once I had some time I stamped all three of the bunny images from the set on watercolor paper and colored them up with my ZIGs. One of the adult bunnies and several of the babies are black so I tried to color one black, but it didn't turn out so well. I'm not giving up though! The other two were colored light brown and turned out much better. 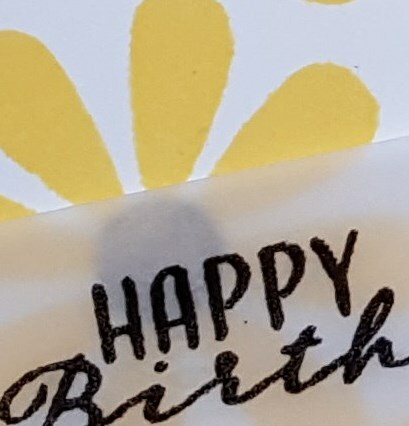 One you see on my card. The kit also includes this fun die that cuts a piece of "ground" that also has slits in it that you can use to "plant" all the little veggies that come in the kit. I cut a piece from watercolor paper and then colored it with a dark brown ZIG. The cute little fence that you see in the back is also a die from the kit. 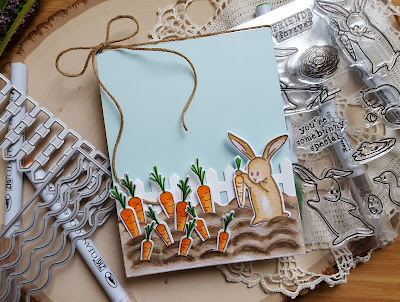 I stamped both sizes of carrots on watercolor paper, colored them with ZIGs and then die cut with the matching dies. I then "planted" all my carrots and the little bunny. Everything was adhered to a light blue cardstock base and some brown twine added to the top. There is no sentiment at this time, but I will come up with something later. I just love how this turned out!! Going to add this to the 30 day coloring challenge. The second card uses the super sweet Reverse Confetti Butterfly Dreams stamp set. 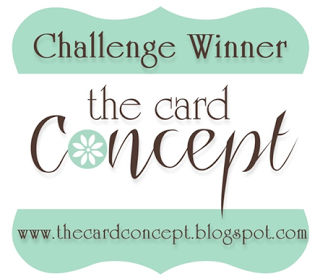 The layout is based on the current Reverse Confetti Sketch for You to Try. 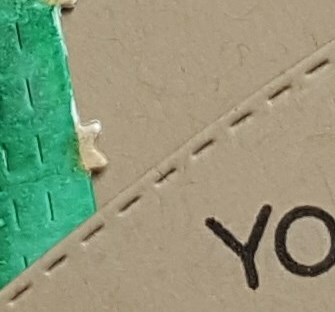 The background is a Reverse Confetti Quick Card and was the basis for where I went color-wise. The banners were die cut from woodgrain cardstock with a die from the RC Tag Me die set. I hadn't used a bright pink in a long time so I thought that would be perfect pop of color for my card. I stamped the butterflies and then die cut them with the matching dies. 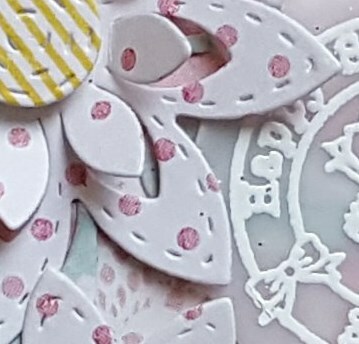 Layered everything up against a light gray cardstock panel and then added little heart shaped enamel dots to the centers of the smaller butterflies. Clean and simple, but I like it!! its wednesday... it must be ajvd!! Wishing you a wonderful day... hope you take the time to head over to the AJVD blog for a look! Hello!! 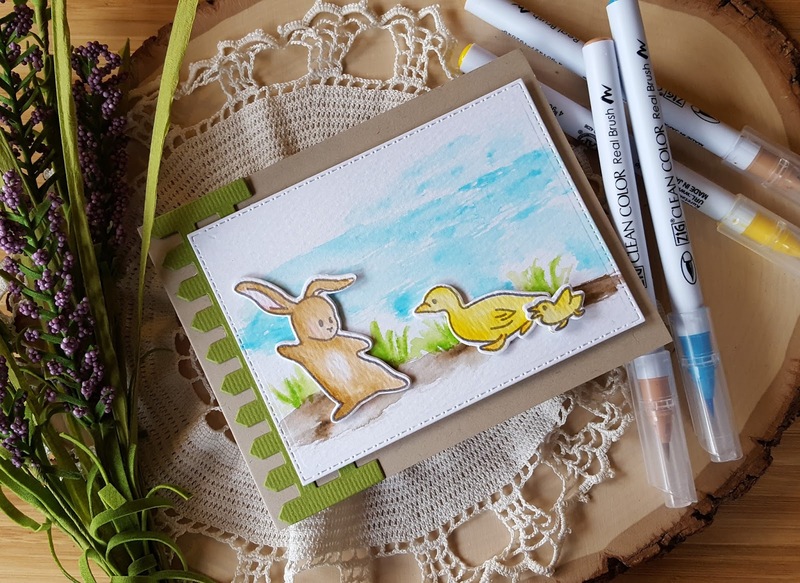 Made a couple of spring like cards to share. Right now it is gray and dreary here in the Pacific Northwest so I thought a couple of bright cards were in order. The first one uses the beautiful Simon Says Stamp Spring Flowers and a sentiment from the SSS set Friendship Blooms. I partially colored a panel of watercolor cardstock using a medium blue ZIG and let it dry. 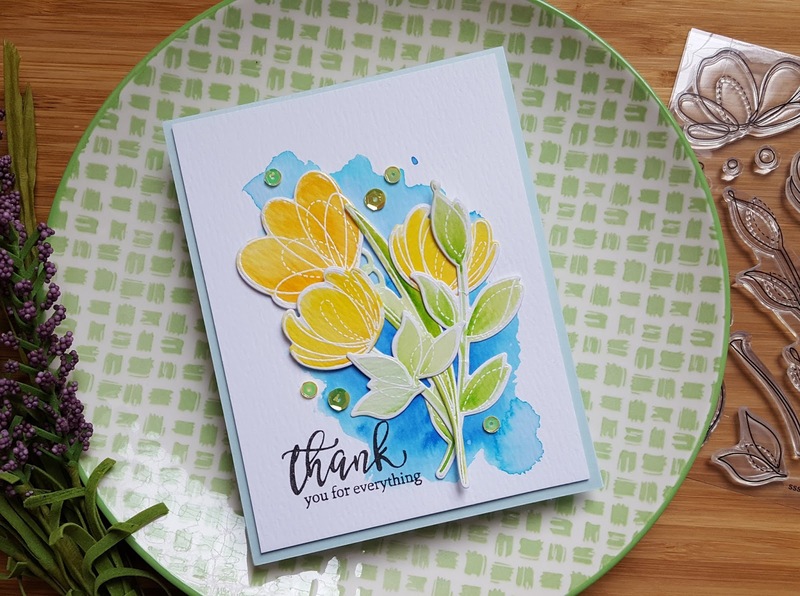 The flowers and stems were all stamped with watermark ink and heat set with white embossing powder before being colored with ZIGs. Once everything was dry I die cut everything with the matching dies. Once I got everything arranged and adhered I stamped the sentiment in black and then added a few yellow sequins. I'm going to add this to the 30 day coloring challenge. 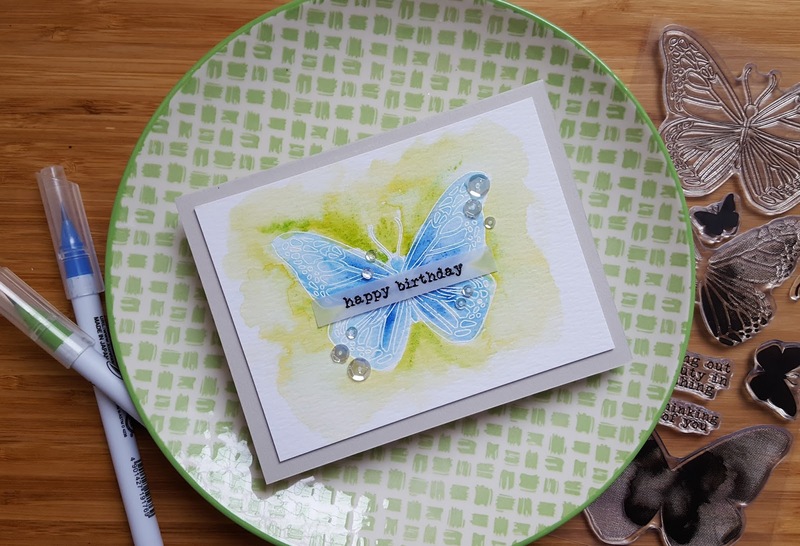 The second card was made using the Concord & 9th Butterfly Beautiful set. I stamped the butterfly in watermark ink and then embossed with white embossing powder. 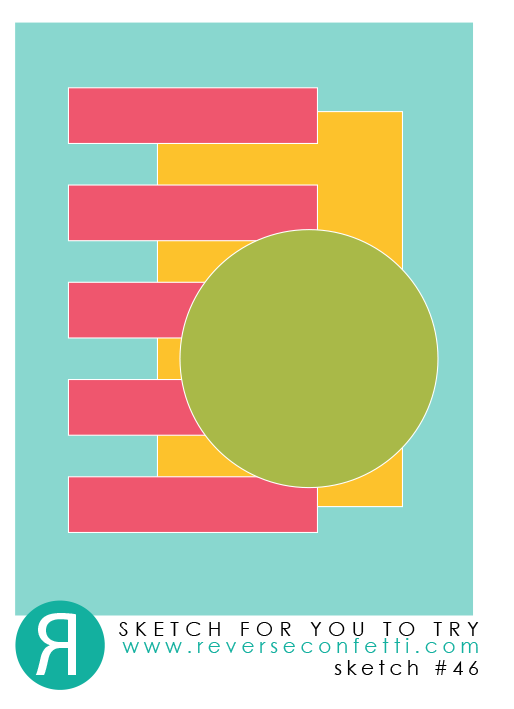 The current color combo at Color Throwdown is a combo of my two favorite colors (blue and green). I'm taking a bit of a break from challenges, but since I love those two colors I decided to use them for my card. I colored the butterfly with a blue ZIG and then added green around it with a green ZIG. The sentiment was stamped on vellum with watermark ink and the heat embossed with black embossing powder. Used some rolled up glue dots placed behind the sentiment to pop the sentiment up slightly and then added some sparkling clear Pretty Pink Posh sequins. Simple, but I like how it turned out. Wishing you a wonderful Wednesday... thank you to everyone who takes the time to head over to the AJVD blog to let me know what you think! Hello!! 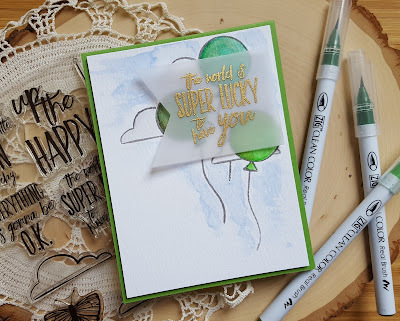 Stopping in with a card today that uses more new crafty purchases. 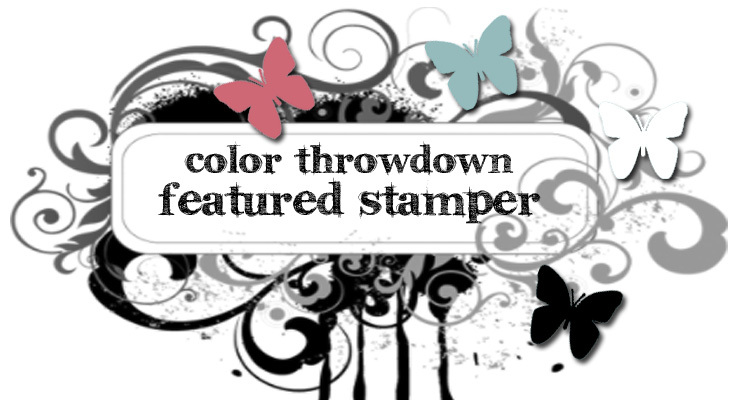 This time from Stampin Up!. I'm a total sucker for butterfly and dragon fly stamps and dies and when I saw the Dragonfly Dreams and matching Detailed Dragonfly dies in the spring 2017 SU! Occasions mini catalog I just had to get them. Finally got a chance to make something with the set in the last few days. The card was actually built around the copper butterfly. I did a light color wash on some watercolor cardstock using a light blue ZIG marker. 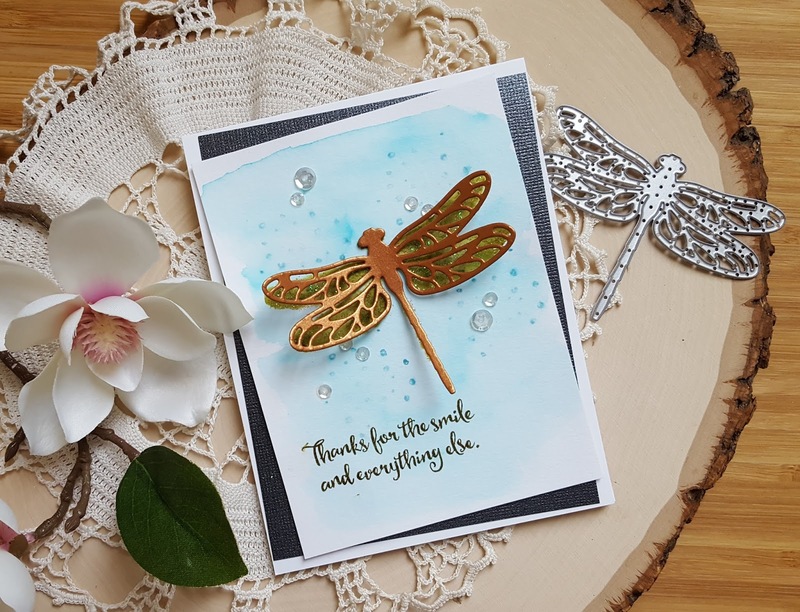 I let it dry a bit and then stamped a solid image dragonfly on the panel using Peeled Paint and Forest Moss distress inks and blended it out a bit with some clean water. A splatter image from another SU! set I got was stamped with Broken China and then blended out a little with water. When everything was dry I added some Crystal stickles to the wings. The sentiment was stamp in Forest Moss. I trimmed down the panel and then adhered the dragon fly and some sparkling clear sequins from Pretty Pink Posh. For a little drama I decided to adhere the panel to some dark grey glimmer cardstock and then to a white card base. Hello!! Hope you are having a lovely weekend. Sharing a couple of cards I made over the last few days. These are just for fun cards. First up is a card I made using the February My Monthly Hero kit and an add-on stamp set that debuted with the February kit. The March My Monthly Hero kit comes out tomorrow and it has cute bunnies!!! I love bunnies! Hmmm... I think that kit may just hop in my cart, lol!! Anyway... as I said this card used the February MMH kit. I decided to make a shaker card since the window die in the kit makes it super easy for a shaker challenged person like me to create a nice one! I watercolored a panel of watercolor paper with a couple of ZIG markers and then once it was dry stamped it with some cloud and rain images from the stamp set included in the kit using distress inks. I die cut the little kitty (another die in the kit) from watercolor paper and then watercolored it with two ZIGs. The coloration of the cat is similar to that of my sweet kitty Cleo who I said goodbye to a little over two years ago. The window was die cut from woodgrain cardstock and a piece of acetate adhered to the back. Once the watercolor panel was fully dry I created my shaker. 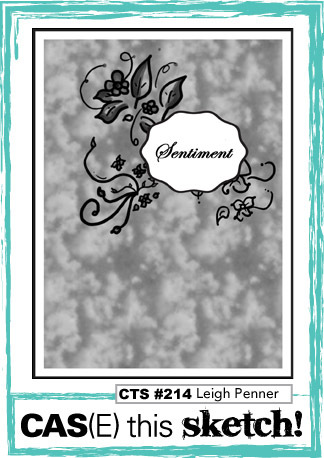 The sentiment is from an add-on stamp set and was stamped in watermark ink and embossed with black embossing powder. I cut it into a little banner. Some patterned paper was adhered to the card base and then I added the shaker, my kitty and the banner. 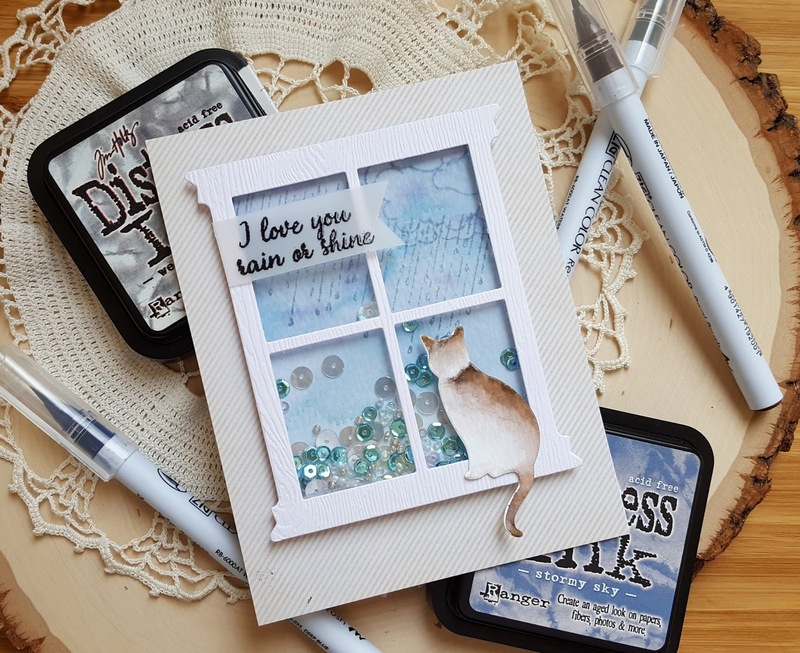 The next card uses a die that I recently purchased from Simon Says Stamp called Birch Tree Window. I was quite intrigued by this die when I first saw it. There are several different possibilities for creating cards with it. Some simple like my card today or more elaborate. I'm looking forward to creating a shaker card using this die! My oldest brother recently retired and his retirement party was this weekend. Before heading to the party I made this card using the die. Since I was crunched for time I kept things simple. I die cut the image from watercolor paper and then added detailing you would see on birch trees. I finished it off by adding some light green coloring to the leaves and around the entire die. A background was watercolored using a couple of blue ZIGs. Once dry it was trimmed down to fit behind the die cut. 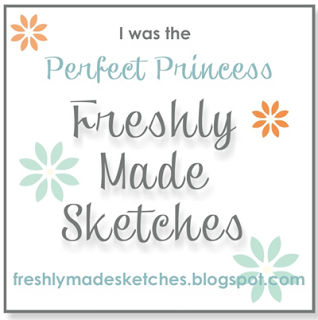 The little banner was die cut from kraft cardstock and stamped with a sentiment from the SSS Sketch Ranunculus stamp set. Once everything was dry I die cut the main panel and then put together the card. I hope my brother likes it because I sure do! Hello!!! 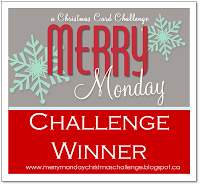 Stopping in with a card for the current MFT color challenge and sketch challenge. 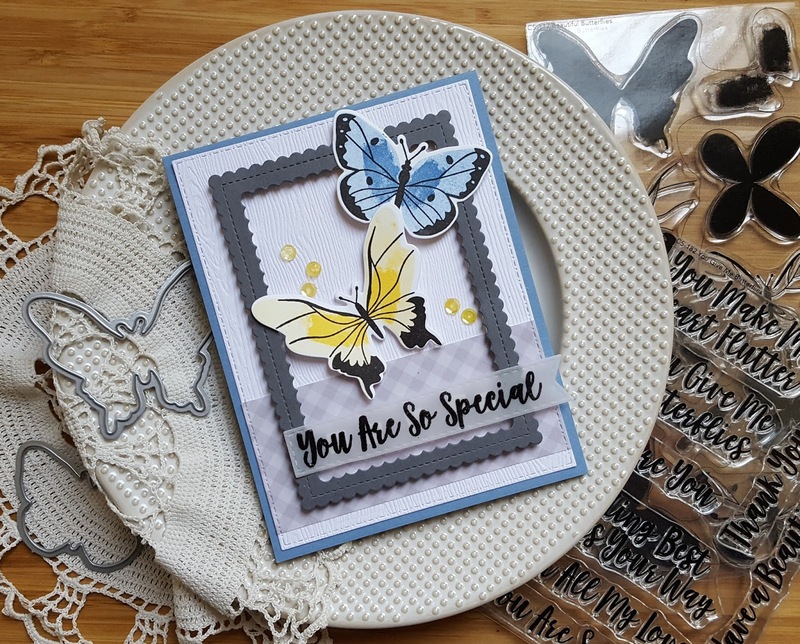 Recently got the beautiful MFT Beautiful Butterflies card kit and whipped up my card using the kit. I used the two largest butterflies in the set and did some two step stamping. To be honest it was really difficult lining up all the images on the yellow butterfly mainly because the yellow was so light. But with the help of my mini MISTI I finally got it done. The blue butterfly was much easier to create! 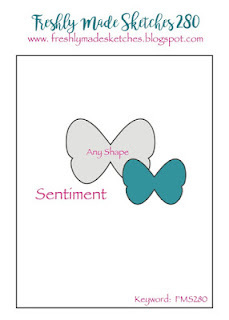 Once I got the butterflies stamped I die cut them with the matching dies. The fame was created by using the two largest dies in the Stitched Mini Scallop Rectangle dies and the gray cardstock. A panel of white woodgrain cardstock was die cut along with some light gray patterned paper from My Favorite Things. I layered up all the main elements per the sketch and then stamped the sentiment from the sentiments set in the kit on vellum with watermark ink and embossed with black embossing powder. The sentiment was then die cut with a Stitched Fishtail Flag Stax die. The banner was adhered along with some yellow sequins and then adhered to a light blue cardstock base. 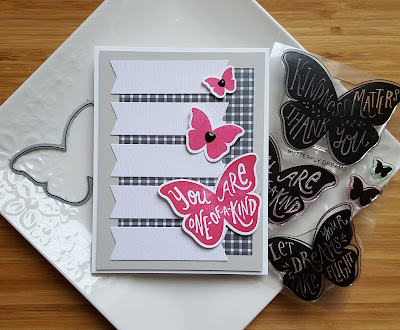 Love, love, love these butterfly stamps and dies!! Wishing you a wonderful day...your comments are always appreciated!